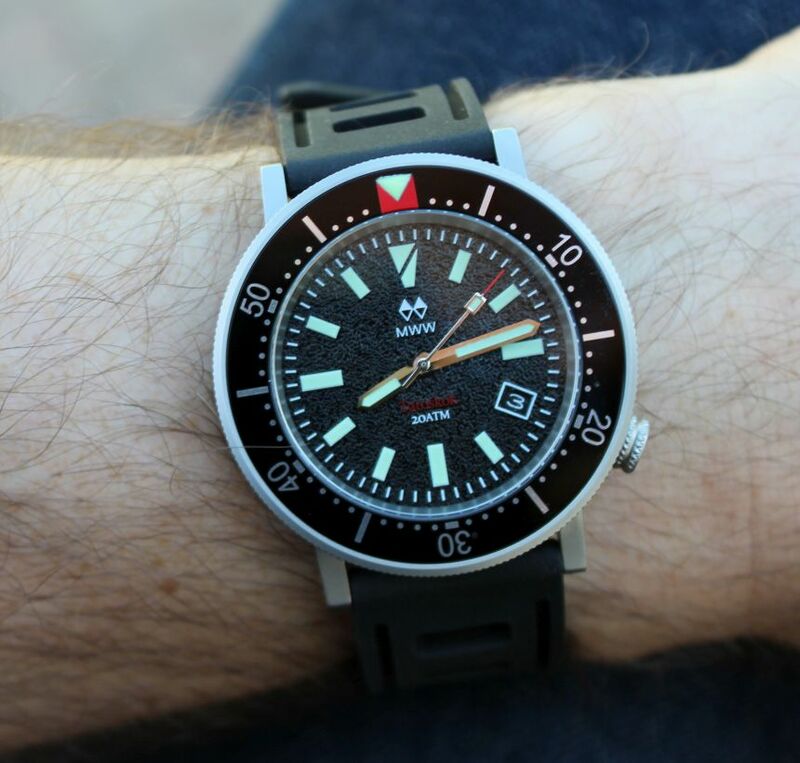 I have said it many times before, and I will likely say it many times more – dive watches are simply one of, if not the, most popular styles of watches today. Most of them show on the wrists of those who don’t dive (such as this writer), so it really becomes more of a style choice. Sure, there is some appeal to the capability that a dive watch represents, but for most desk divers, it is the look of the watch that draws them in. So, then, if a new brand is bringing a diver to the market, it should offer something unique – and that is what we have with the Manchester Watch Works Tatoskok. I will admit, that name is a mouthful. 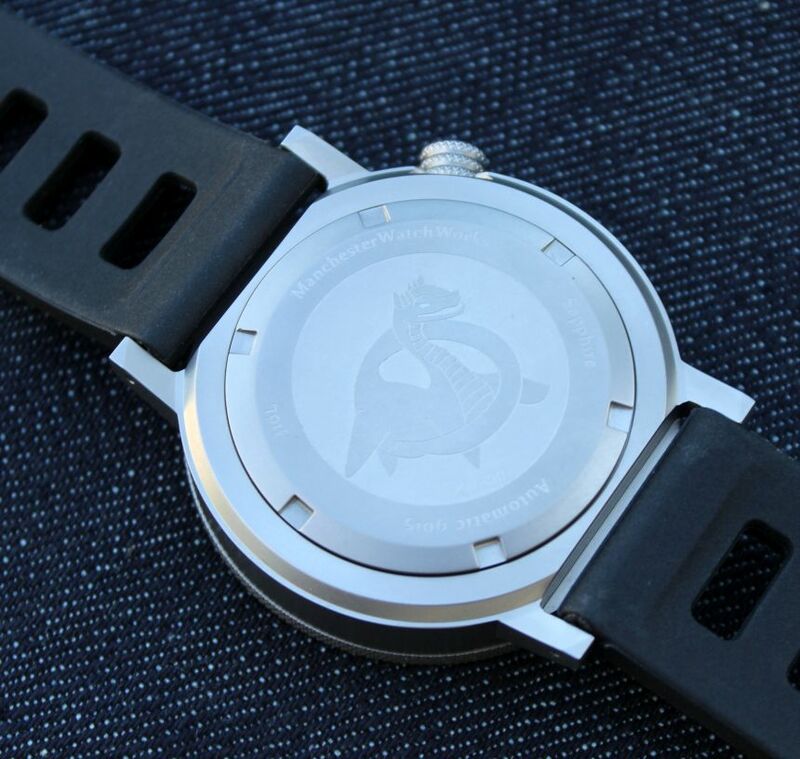 As it turns out, it comes from an American myth that predates the Loch Ness monster, something I uncovered in my review of a prototype of the quartz-driven version of this watch. Now, it’s been a year since I took a look at that watch, and there have been some changes made. Most significantly, this takes the form of the movement used – gone is the quartz, and in its place is a Miyota 9015 movement. This movement is a sensible choice (to offer a mechanical but still keep the watch affordable), and is only being installed in a 300-piece run (and fewer than a 100 remain at this point). Some other changes from the initial version I reviewed are with the handset (gone are the broad arrows and in their place are sword-style hands) and the inclusion of a date window. And that date window? It’s color-matched to the dial. If a small place like MWW can manage this, why is it so difficult for bigger brands to manage it? Not something I have the answer to, but I am glad to see that here. Past that, the Manchester Watch Works Tatoskok is by and large unchanged – and that is a good thing. One of the best features of the watch is the dial, which has the look and texture of wet sand. 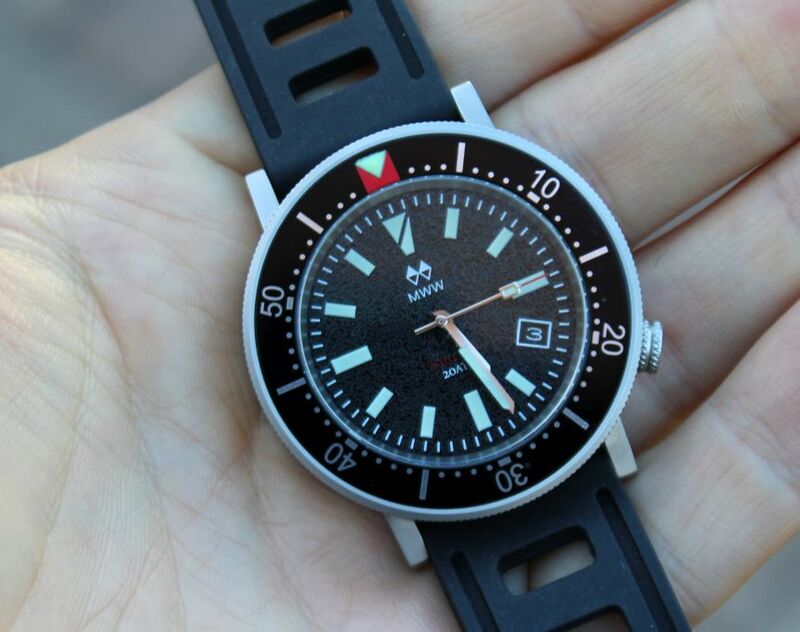 IT makes for a unique look, and something that makes a lot of sense for a dive watch. Continuing with that theme you also have the 12 o’clock indicator which takes the form of the “diver down” flag. Given the overall thematic elements to the watch, it does seem a bit odd that sword hands are used, as the broad arrow ones seem much more fitting to a dive watch. Perhaps it is more of a nod to the fact that most of these watches will be on dry ground for a majority of the time, and therefore has some styling that fits more to a daily wear situation. And, for daily wear, the 104g Manchester Watch Works Tatoskok is one of the lighter dive watches I have worn (especially one with a 300m WR rating), which certainly helps with the comfort. Ours of course came paired on a rubber strap (which is an upgrade from the original one we saw), and also came with a nylon nato strap, both sensible options for this type of watch. 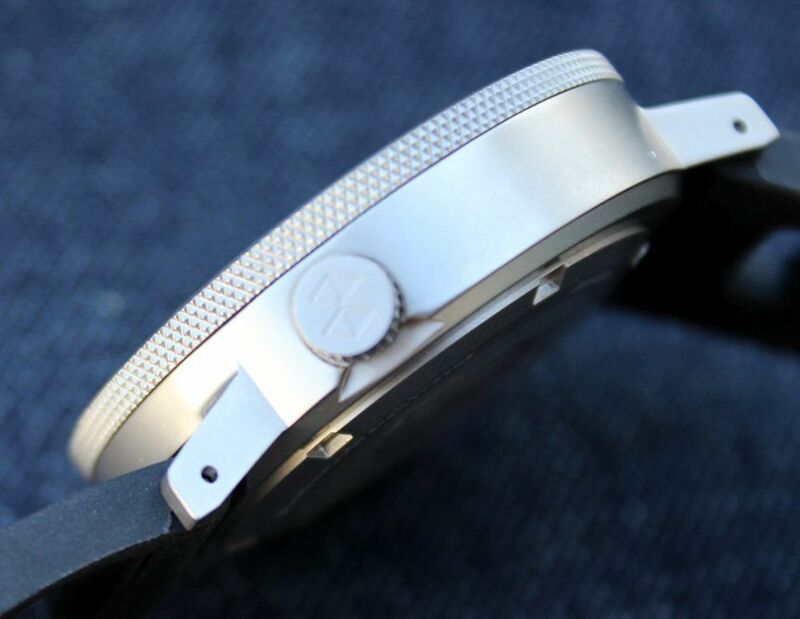 I rather liked the bead-blasted finish of the 42mm case, which keeps fingerprints at bay. I also rather liked another small detail – the finishing on the crown. 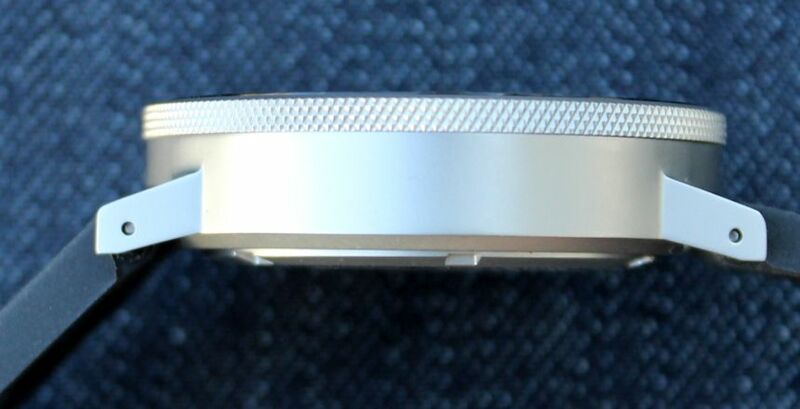 This has the appearance of being knurled, but there are also two grooves cut into it. Nothing is polished there, but the way it catches light, it does give some brighter accents to the piece. 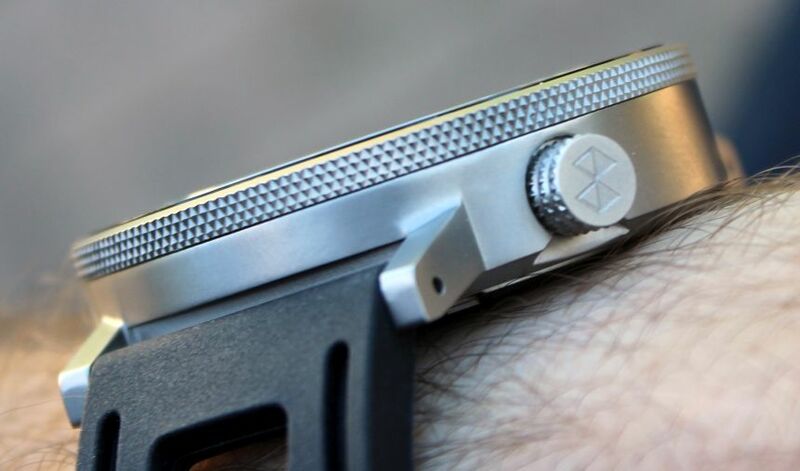 Speaking of knurling, it is worth mentioning it with regards to the bezel on the Manchester Watch Works Tatoskok. We are used to bezels on dive watches being protuding affairs, which makes sense if you’re needing to manipulate it while wearing gloves. For something of a different look, the watch here is using a sleek and in-line silhouette, with the bezel not protuding any wider than the case itself. Fortunately, the knurling gives it enough texture to grip with your fingers and easily adjust it. The bezel clicks confidently, with very little play in it. The color-matched date wheel absolutely sells this piece. There’s a lot of evolution happening with this manufacturer; love to see a little more thought go into their logo and branding.